A legacy to the Glaziers’ Foundation will be a significant contribution to the promotion of the living craft of stained glass. 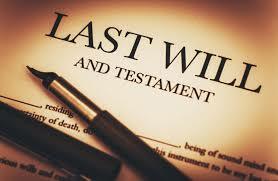 If you would like to remember the Foundation in your will, the following notes may assist. It would help us if you could let the Clerk know when you have decided to leave a legacy to the Foundation; you do not need to disclose any details of the will. Any information you do provide will be treated in the strictest confidence. As well as bequests to family and friends, you can leave a legacy to any charity you support. You should include the full name of the charity and its registered charity number: The Glaziers’ Foundation, Registered Charity Number: 1143700. You can make changes to your will by adding a codicil to leave bequests to the charity or charities of your choice. Again, it is advisable to have this drawn up by a solicitor; it needs to be signed and witnessed like a will, but is a much simpler process. If you leave a legacy to a charity, it will be exempt from inheritance tax. In addition, any estate that leaves at least 10% to a charitable cause will be subject to a reduction in the rate of inheritance tax from 40% to 36%.